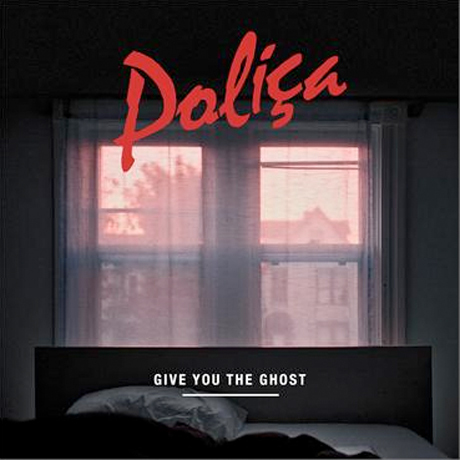 Traces of R&B textures are found in recent releases from both soft-rockin' Gayngs and post-modern folk unfit Bon Iver, so it's not surprising that members of both troupes have come together to form the similarly smooth Poliça. Made up of the core duo of Gayngs members Channy Leaneagh and Ryan Olson, the offshoot's debut Give You the Ghost is primed to further the Midwest musicians' evolution from roots folk to R&B. According to a press release, the album was written over the summer, with producer Olson whipping up poppy, though experimental, soundscapes for Leaneagh to sing on top of. Following their crafting of the 11 songs that make up Give You the Ghost, the twosome enlisted drummers Ben Ivascu and Drew Christopherson and bass player Chris Bierdan to fill out the arrangements, while Spoon drummer Jim Eno was brought on board to mix the set. They also nabbed Bon Iver member Mike Noyce to lend some vocal work on album tracks "Lay Your Cards Out" and "Wandering Star." You can catch an in-studio performance of the minimalist, romantic "Wandering Star" down below. Described as a sensual blend of R&B rhythms, goth-pop and electro, Give You the Ghost is set to drop February 14 on Totally Gross National Product. 2. "I See My Mother"
Live on Radio K: Poliça - "Wandering Star" from Radio K on Vimeo.